State Express Transport Corporation operates bus service from Shencottah to Ernakulam via Madurai Dindigul. The service operated by SETC is as per Inter State agreement with government of Kerala. SETC operated by Government of Tamilnadu only operates bus service from Shencottah to Ernakulam at the moment. 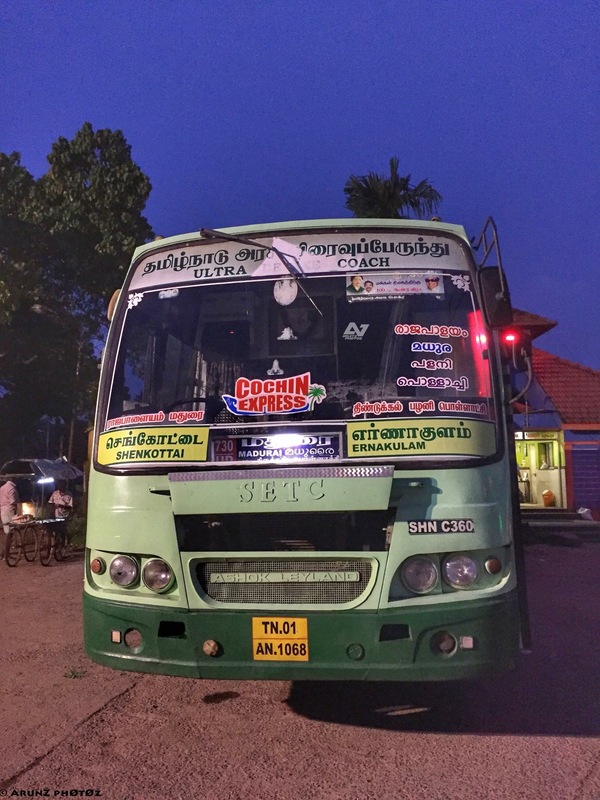 The bus service is a blessing to the people of Tamilnadu and Kerala connecting to Shencottah, Madurai, Dindigul, Rajapalayam and Tenkasi. Shencottah is famous for its cultural heritage, the municipality is well connected with bus service from TNSTC and SETC, its near to border of Kerala and Tamilnadu. Shencottah is otherwise Sengottai, Senkottai and Chengottai. Shencottah was originally part of Trivandrum Kingdom and now it is a third grade municipality under Tirunelveli District in Indian State of Tamilnadu. The bus service from Shencottah is scheduled to start from 3:05 pm and reaches its destination on next day morning at 05:50 am. The route taken by the service is long as it connects Madurai, Dindigul enters Kerala via Palakkad, Thrissur. The total journey time is expected to be 14 hours and 45 minutes covering 579 kilometers. The journey fare of the service is 455 rupees per passenger excluding the reservation charges.